The guys from Old Lines proposed doing something a bit different, though, and I’m really proud with how it all turned out. We worked together from the start. I prepared my spoken word pieces to fit with their lyrics. 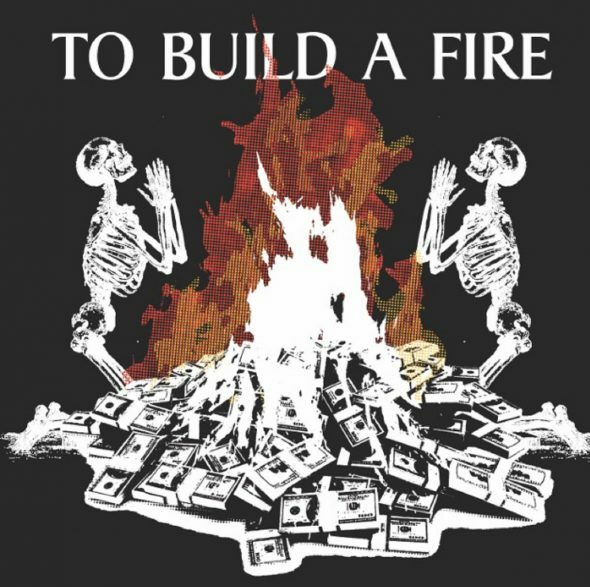 We went to the studio together, and brainstormed how to make all the tracks flow together as one cohesive project. After I recorded my tracks, Matt brought out his guitar and started messing around with feedback and other ways to accompany the words. The track names changed to reflect that relationship between the songs and spoken word. At every step, we wanted to merge our work. This isn’t like any other spoken word I’ve done (and certainly not like my TED talks!) so I hope you like it. There are two editions of the record. One has black vinyl with a screenprint, and the other is a limited edition red vinyl with green splatter paint! So rad. The covers are screen-printed by hand. 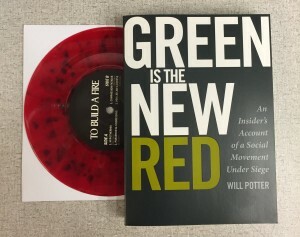 You can also get the digital download, t-shirts, and a special book package with a signed copy of Green Is The New Red here. We’ve already gotten some nice reviews.